Following the unprecedented success of a Kickstarter campaign supported by the likes of George R.R. 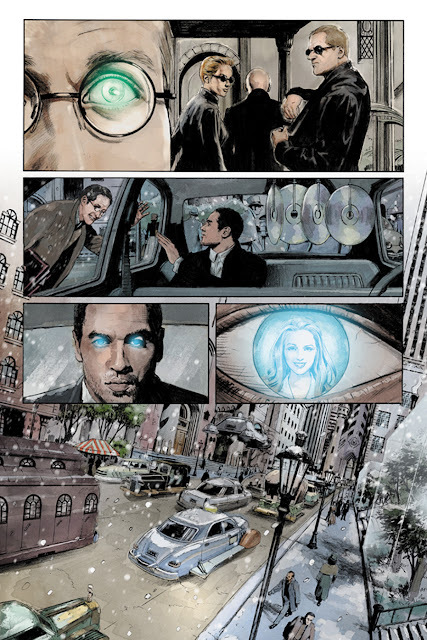 Martin, Margaret Atwood, Dean Koontz, and Jim Butcher, Richard Dent brings Myopia to Dynamite! 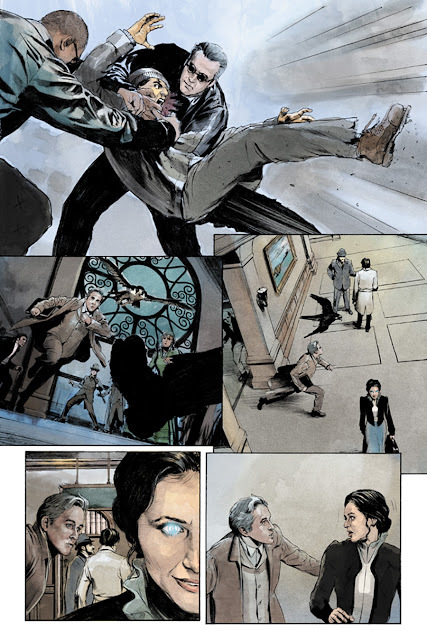 Based on Dent's award-winning story, Myopia merges speculative fiction and steampunk into a thrilling alternative reality. Armed with a special set of lenses that make him almost invisible inside the Central Lens Network, James Chase sets out on a mission to stop the new world order's violation of the Magnetic Energy Agreement. At first sold as a device to make life more convenient, the lens now works as a tool for the government to hide the devastation unleashed from the excessive mining of the earth's core. "I'm very excited to be working with Dynamite. Myopia is a passion project for me, and I couldn't have worked with a more talented illustrator," says author Richard Dent. "Patrick Berkenkotter is a perfectionist! His attention to detail and flawless renderings of human expression create the perfect balance between realism and fantasy, which was crucial in bringing the world of Myopia to life." "I was blown away by Richard's concept for this story," says Dynamite CEO and Publisher, Nick Barrucci. "When we saw the enthusiastic response the project received from both fans and such incredible fiction writers, we knew we had the makings of a hit on our hands!" Myopia Special #1 teams Richard Dent with artist Patrick Berkenkotter, who previously worked on both Vampirella and Dark Shadows for Dynamite, as well as multiple Marvel titles. Richard Dent teaches Creative Writing in the National University MFA program and at Loyola Marymount University in Los Angeles. Dent's poems and short stories have been widely published, and Myopia (in screenplay form) was a finalist in the Francis Ford Coppala Screenwriting Competition and the Austin Film Festival Screenwriting Competition. Myopia Special #1 features a cover by Cezar Rezak, and will be solicited in Diamond Comic Distributors' September 2016 Previews catalog, the premier source of merchandise for the comic book specialty market, corresponding to release in November. 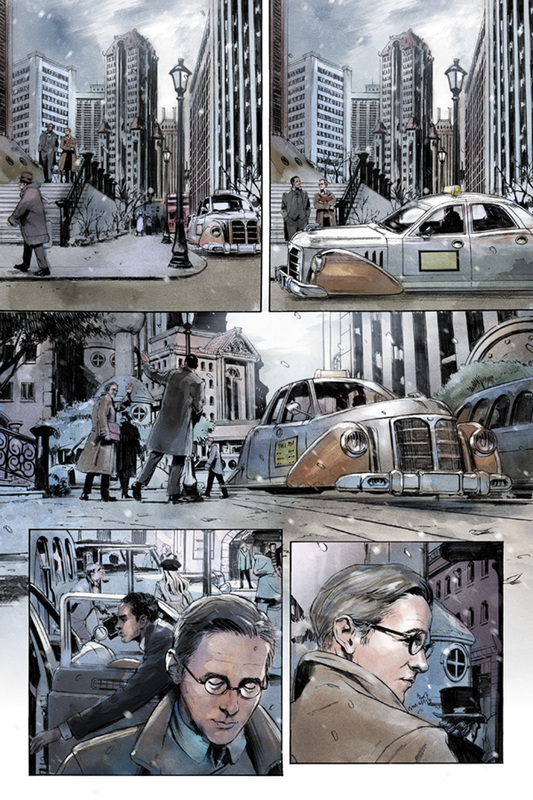 Comic book fans are encouraged to reserve copies of Myopia with their local comic book retailers. 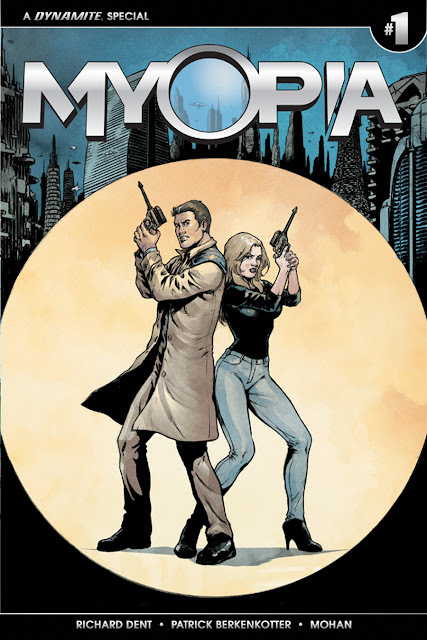 Myopia will also be available for individual customer purchase through digital platforms courtesy of Comixology, Dynamite Digital, iVerse, and Dark Horse Digital.